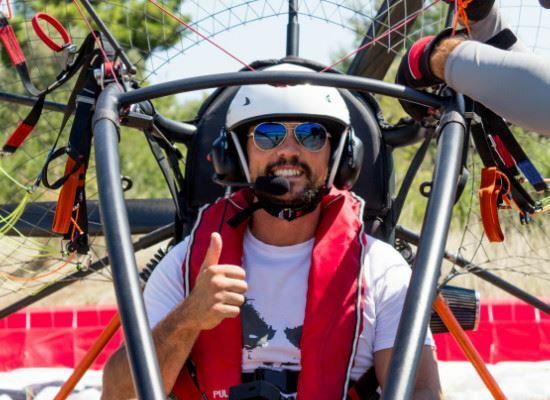 Enjoy comfortable flight with paratrike – motorized paraglider running on wheels which enable easy take-off and landing. Fly with our experienced and certified pilots. Your safety comes first. 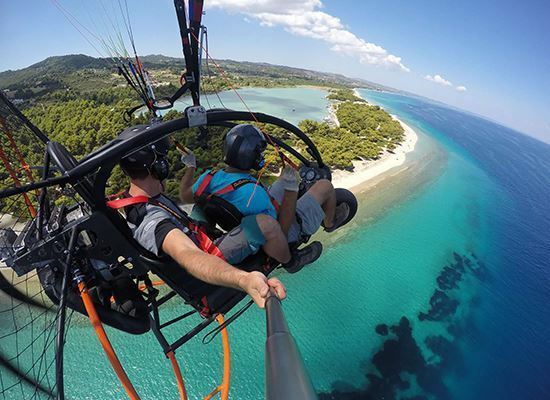 Say hello to your friends from above and keep the video of this amazing flying feeling. Please let us know with your reservation if you will require transfer services. Fly with us! Contact us! 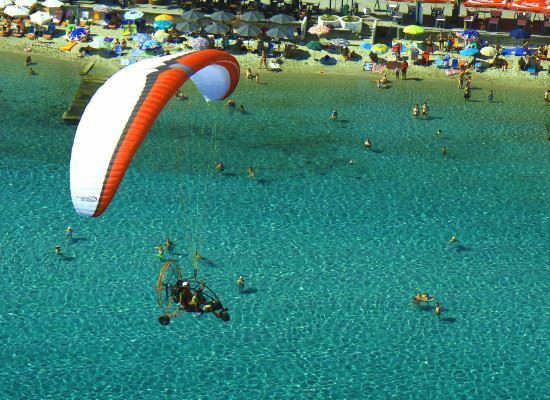 During a period of 25 years, we performed well over a thousand of tandem flights, trained hundreds of pilots and participated in many domestic and international paragliding competitions as pilots, national team members and organizers. See the beauty of Greece from above!